Fast drying spray putty with excellent coverage to fill small irregularities in surfaces, treated and untreated of wood, metal and aluminium. 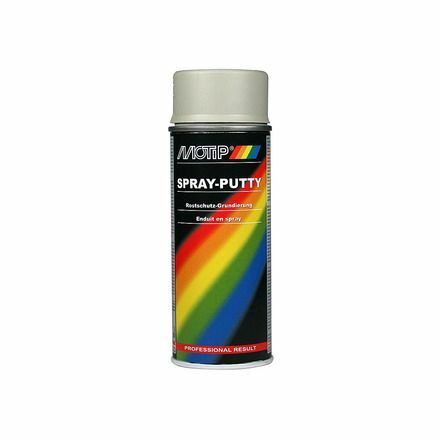 Spray putty has excellent filling properties and adhesion and is rust preventative. MoTip filler is easy to sand, both wet and dry (from grain 400) .